I have decided to move my request for donations to Patreon, which provides a way for monthly giving. This means you will be supporting future Flipping Physics videos. Please consider giving! If you would prefer to give a one time donation, you are still welcome to use the "Donate" button below. 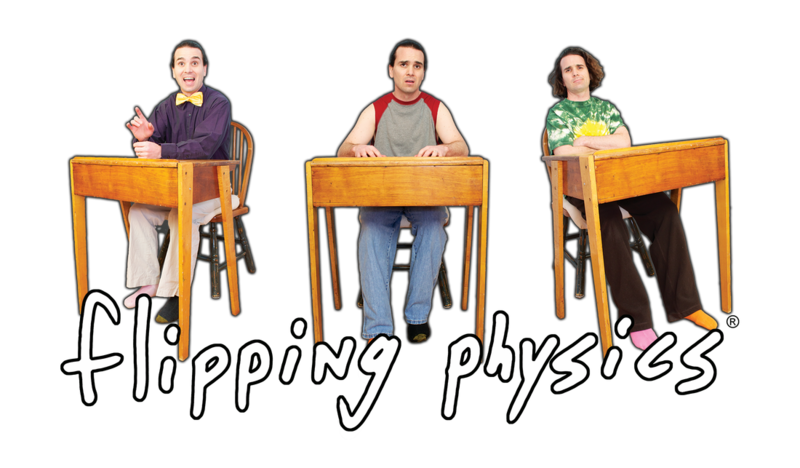 Did you know I teach part-time to allow time to make these Flipping Physics videos? That is because it takes a tremendous amount of time to make videos of high caliber. Yep, I am in the classroom 40% of the time of a full-time teacher. That means I make 40% of the salary a full-time teacher. Can you imagine that? So realize, yes, I provide all the videos for free. This is because there are many people on this planet who cannot afford high quality education like this. However, if you can afford to, especially if you are assigning my videos for students to learn from, please pledge me a few dollars a month on Patreon. If not, there are other ways to help out as well. Thanks. - Mr.p, Billy, Bobby, Bo. FYI: If you give money directly to me through Paypal as "jon@flippingphysics.com" instead of using the "Donate" button, we can avoid the ~5% fee Paypal charges on each donation. ♡ Paid using my email, jon@flippingphysics.com, rather than the "donate" button, which obviates Paypal's transaction fee. To make this work, you need to choose "Sending to a Friend" rather than "Paying for a Service". All my Patreon supporters, starting in May of 2016! Please indicate if you would like to be recognized on the wall when you give.